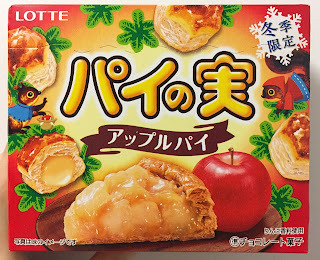 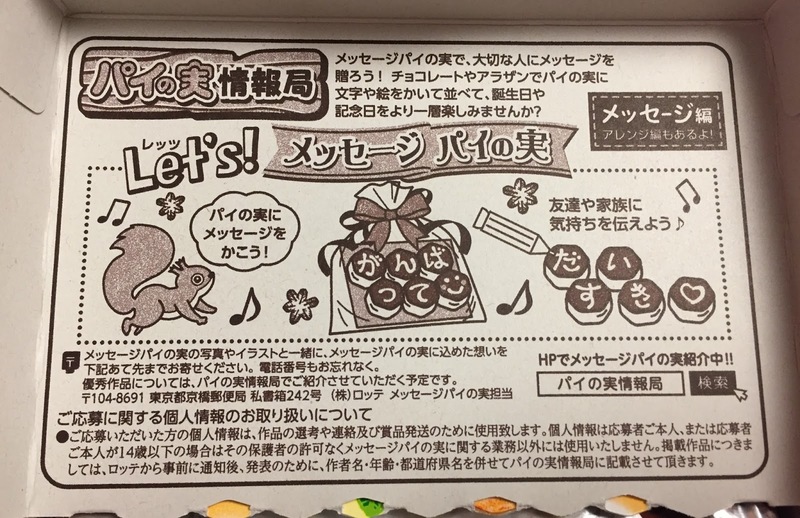 Pai No Mi "Apple Pie"
Lotte launched Pai No Mi "Apple Pie" on October 4, 2016 as a winter-only flavor. 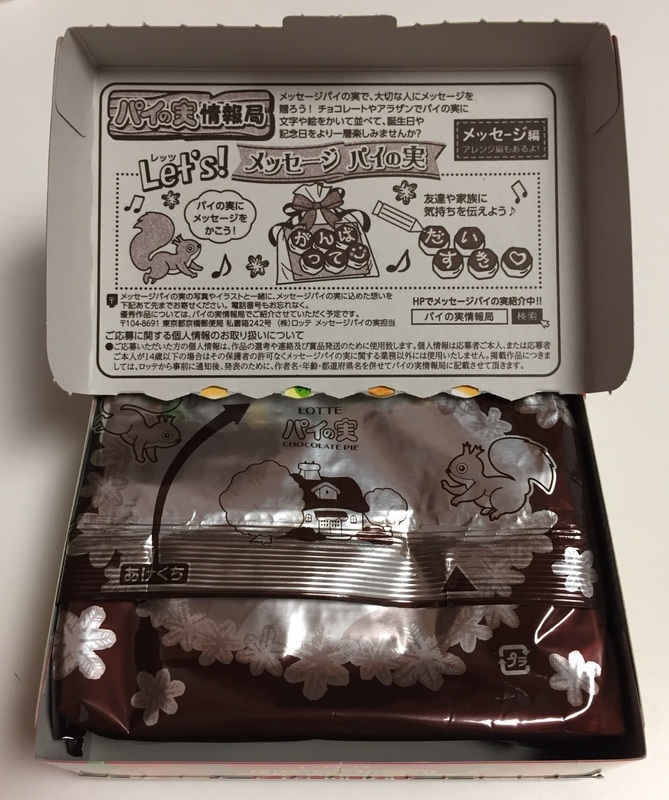 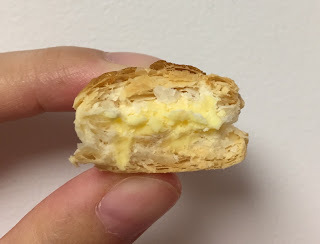 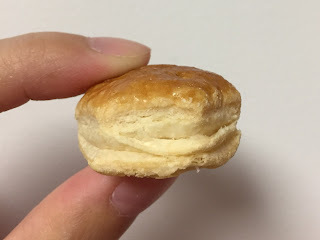 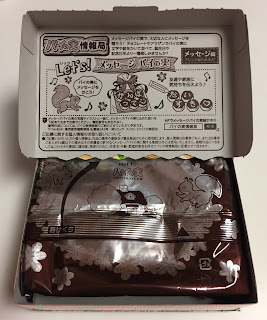 Pai No Mi is a mini pie snack with chocolate filling. 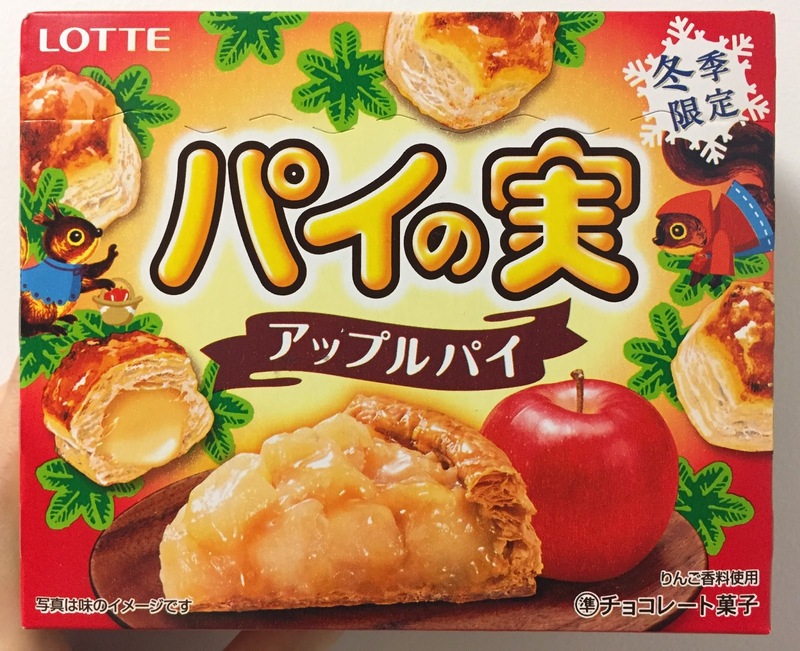 On the center front, there're images of an apple pie slice and an apple. 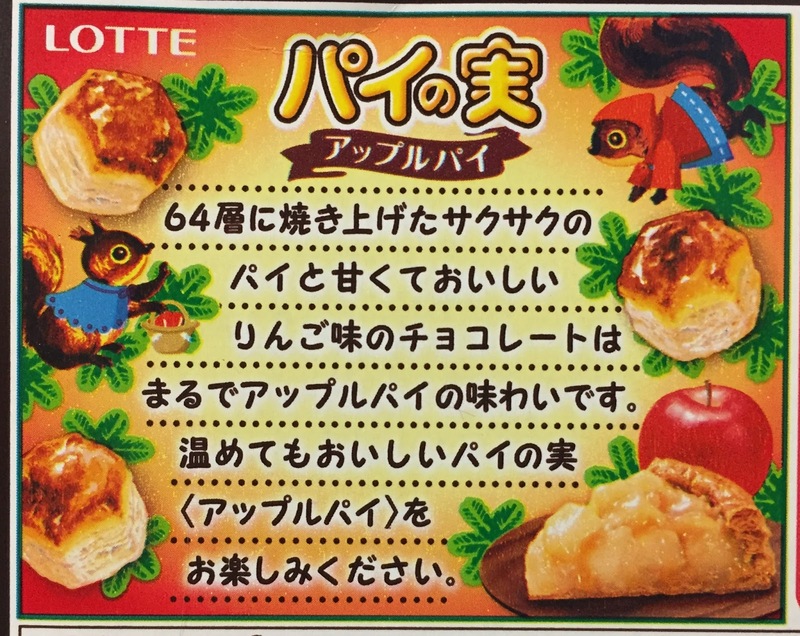 Crispy pie with 64 layers and sweet and delicious apple flavored chocolate make this snack taste like apple pie. 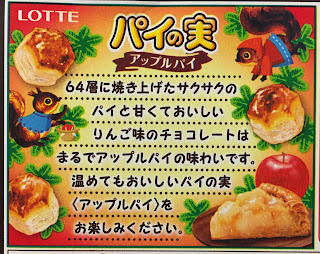 You can enjoy this Pai No Mi <Apple Pie> also. 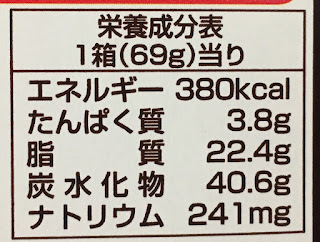 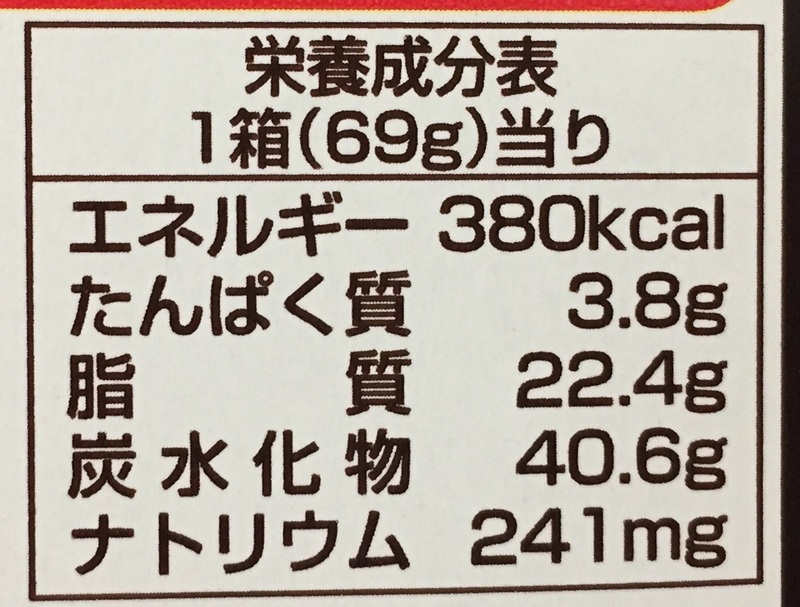 There's an arrange recipe using Pai No Mi. 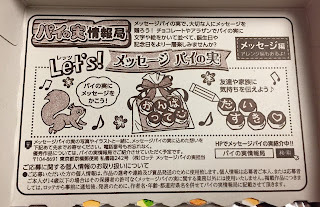 You can put one letter on each pie and line them to show the message. 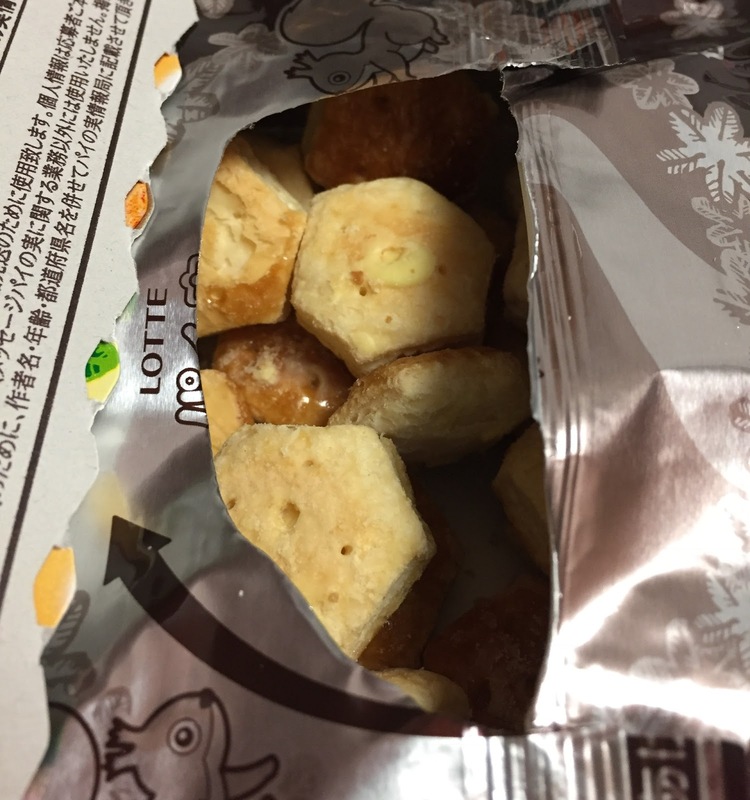 When I opened the aluminum bag, it had sweet apple and buttery pie scent. The top was as shiny as regular Pai No Mi and it's crunchy. 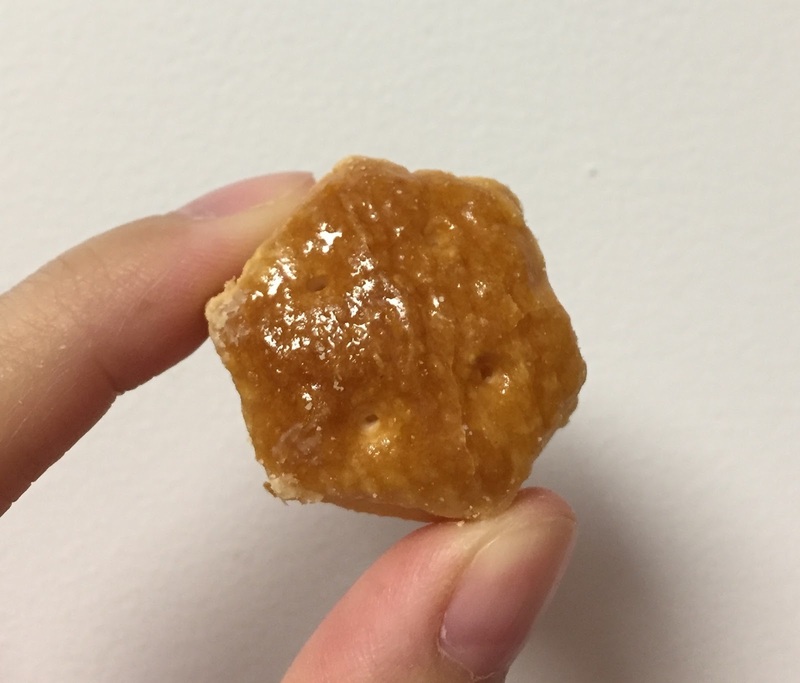 I don't like cinnamon but this Apple Pie flavor didn't have cinnamon in it so that I could enjoy this snack. The apple flavored chocolate really made this Pai No Mi taste like apple pie.